As you begin your planning process, you may opt for a traditional, religious, military, or another type of memorial service. This is what we call the "Life Celebration!" It reflects the unique personality of your loved one and honors all that was special about him or her. We will help throughout the process of creating your loved one's Life Celebration. 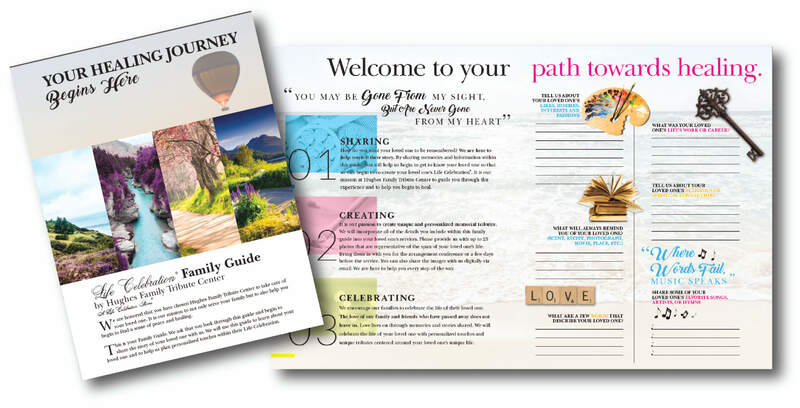 We do that using our Life Celebration Family Guide. It is one of the tools we offer our families to begin to share the story of their loved one's life. 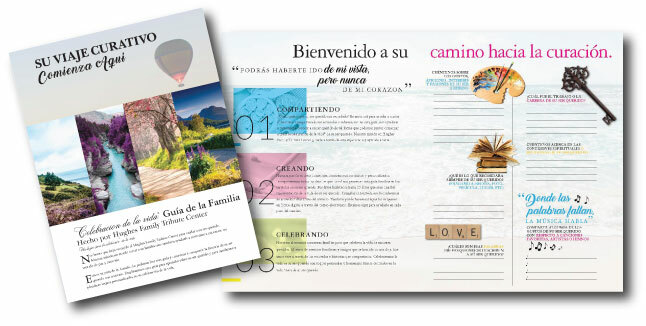 Get our LifeCelebration Family Guide (English) or Life Celebration Family Guide (Spanish). After you complete the guide, we will do the rest to provide an exceptional experience for you and your family and friends. Was the person proud of his or her heritage? What were some favorite foods of the person? What were some special interests of the person? Many Life Celebrations have the casket or urn present, and the casket can be either open or closed, depending upon your wishes. Disposition of the casket or urn can take place either before or after the memorial service, and our cemetery is located next to our home if you decide on the burial option. If you choose cremation, you can decide to have the ashes placed in one or several urns or you can have the ashes spread at a location of your choosing after the Life Celebration. Your loved one's Life Celebration can take place in our Chapel, at your church or another location of your choosing. There truly is no "traditional" service anymore. You can create a celebration that is whatever you want it to be. What's important is that the service you create is personalized to the individual to truly create a uniquely memorable and enriching occasion.